What is the length of the handle Hans? It appears that we must wait a time with patience. I am guessing it is a travel size razor, handle is perhaps 1.5 inches long. We'll see. . . . .
Hans, your photo is that good that it makes it look like a usual razor, while the Gillette looks huge, more like a display item. You had me there. 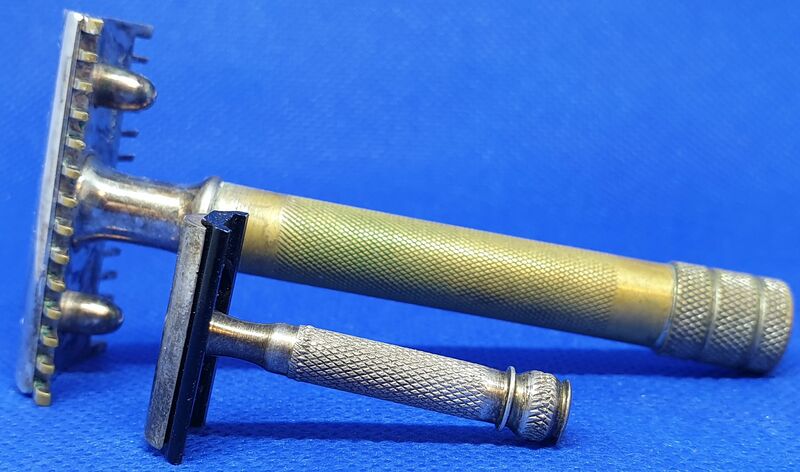 (03-19-2019, 01:16 AM)nikos.a Wrote: Hans, your photo is that good that it makes it look like a usual razor, while the Gillette looks huge, more like a display item. You had me there. Thank you Nikos The camera in my new cellphone, combined with an inexpensive folding light box, makes all the difference.